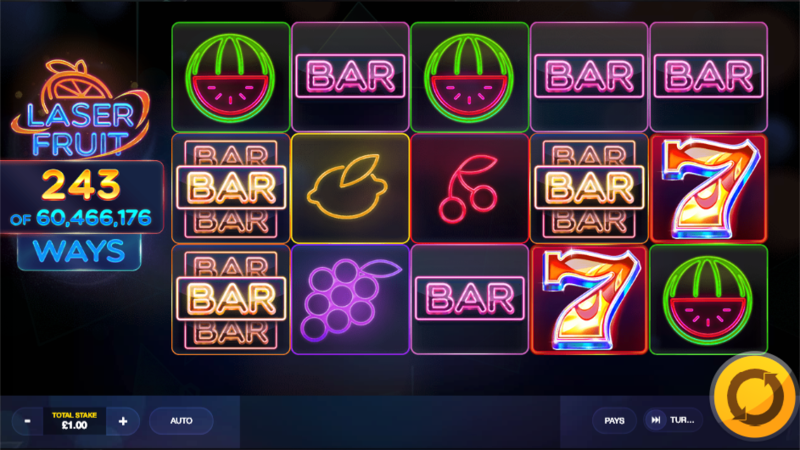 Some words only ever come together as part of the title of an online slot machine and so it is with Laser Fruit, a release from Red Tiger Gaming which offers free spins and a clever ‘Blue Laser’ feature which increases the number of paylines. Laser Fruit is a five reel slot with three rows and 243 ways to win which means that winning combos can be formed as long as there are matching symbols in adjacent reels starting from the left hand side. The vibe of this game is ‘1980s nightclub’ with neon lights everywhere and an electronic soundtrack. 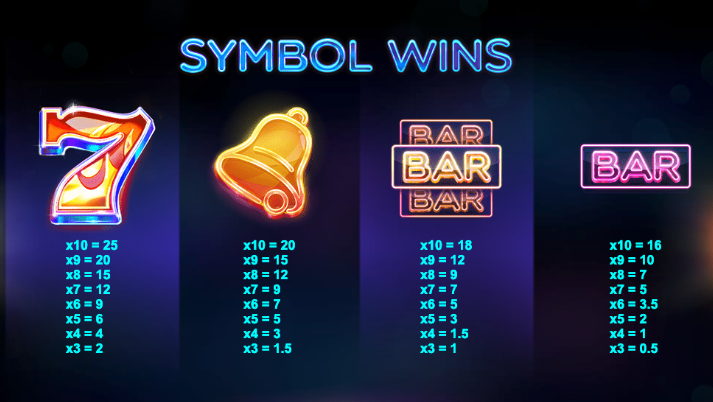 The symbols are all neon but traditional and include sevens, bells, triple and single bars, watermelons, grapes, oranges, lemons and cherries. 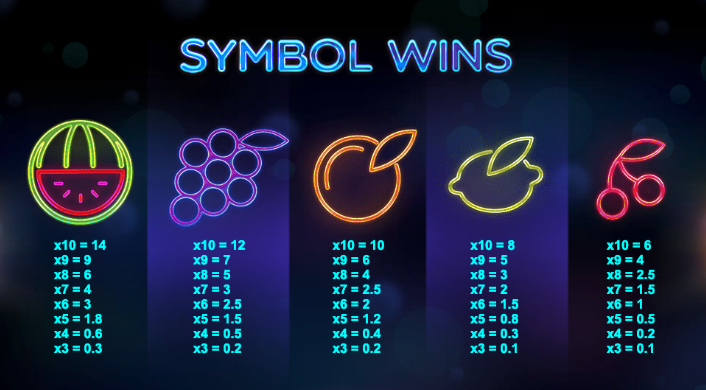 There’s no wild symbol in Laser Fruit but the bonus icon is a sparkling Free Spins which is the key to the main feature. These lasers occur randomly on any spin and you’ll see flash of blue light followed by a blue arrow attached to the top or the right of a random number of reel positions. The row or reel will then extend one position in the direction the arrow is pointing which increases the number of paylines available – up to a possible massive 60,466,176. After that spin the reels return to normal. This is triggered by landing at least three of the Free Spins symbols anywhere in view after which a large wheel will spin to reveal the number of spins awarded – up to 40. Each time the Blue Lasers extend the reels or rows they will lock in place so the number of paylines increases throughout this round – see it in action in the video above. The free spins can be retriggered up to ten times. Laser Fruit is one of the more interesting Red Tiger slots we’ve played and the Blue Laser is a very creative feature which makes the free spins round potentially very profitable. It’s certainly worth some of your valuable time!